In the Province of the Gods is at once the extremely personal and specific story of one man’s journeys to Japan and also an entirely recognizable story of self-discovery and universal truths. 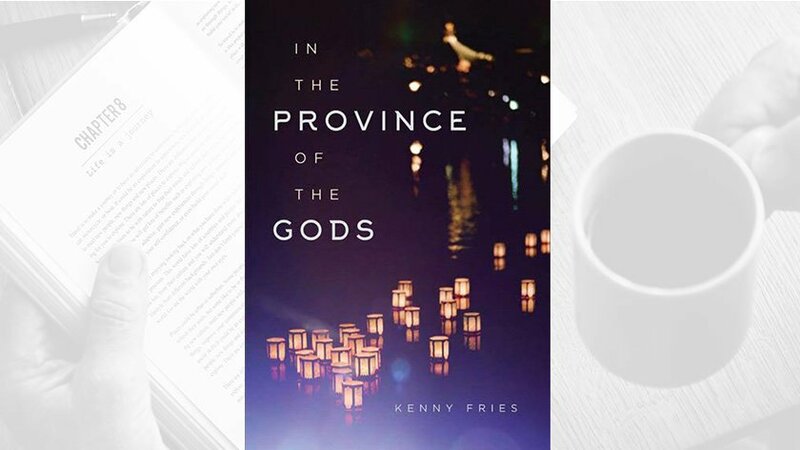 Weaving his personal travel narrative with those of writers who have come before him, Kenny Fries initially comes to Japan hoping to “study the lives of disabled people in Japan”. Right after separating from his longtime partner, he embarks on his first trip to Tokyo where he lives for six months. Readers familiar with Japan will recognize the popular tourist destinations he visits like Meiji Shrine, Kyoto, and Hiroshima, but Fries brings his observant eye and unique perspective of being a disabled person. He uses the writings of Donald Richie and Lafcadio Hearn to “serve not only as guides but also as models of how a foreigner becomes intimate with Japan”. Fries opens himself up to the page sharing his secrets and his quest to understand Japan, disability, and more importantly his place in the world. He also opens himself to the people and country he meets, realizing because so much was new he “could not understand all I was seeing and feeling. I just had to experience what was before me. I knew I could not ask why”. His vulnerability is powerful. After his six month stay, his research feels “scattered, incomplete”. There are too many loose ends—promising leads he has yet to fully uncover, so he works to return to Japan. While in the States securing a second grant, his health declines. The day before he is set to leave he is found to be HIV positive. Having been born with a physical disability he describes always feeling slightly apart from society: “I realized that what I felt about being disabled had been internalized from what I learned from the society in which I lived”. His body was a “physical fact” that had always been a part of who he was. With the HIV diagnosis he now had a before and an after. His life and place in the world suddenly had to be contemplated anew. The reader is taken along on his journeys visiting shrines, gardens, historic sites, and neighborhood bars in Tokyo. Although he travels to places I have been, he notices so much more. The writing is evocative, beautiful, and honest. Fries observes and shares his quest with the reader despite its very personal nature examining disability, love, and mortality. I feel richer to have experienced Japan through his book.